iPhone fatally electric shocks woman: Is it dangerous to use your phone whilst charging? News is breaking which suggests that a re-charging Apple iPhone may have delivered a fatal electric shock to a woman. The woman, China Southern Airlines air hostess Ma Ailun, reportedly died at her home in China having taking a call on her iPhone 5 as it was charging. With the September launch of the new iPhone and the growing market dominance of rival Samsung, this comes at an especially bad time for Apple. The Cupertino giants are said to be ‘fully investigating’ the incident. It however raises further questions about the safety of using smart phones whilst they are charging, which is something that we investigate further in this article. The lithium battery within smart phones is coming under increasing scrutiny, with stories just last week circulating about a Samsung Galaxy phone which reportedly ‘blew up’ on a user, causing third-degree burns. The notion of an iPhone 5 causing a fatal shock is the first reported case however, and for a phone which is nearing the end of its life-cycle (as Apple’s flagship iPhone at least), it is most likely a highly isolated incident. 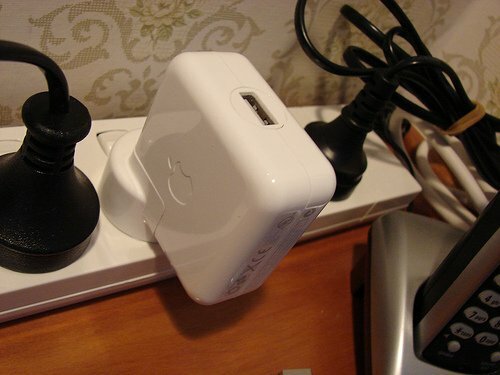 It should also be pointed out that the Chinese consumer base are known to use a lot of unofficial Apple components, including chargers, so even if true, this may not be Apple’s fault per se. It should be noted however that the girls sister claimed that she bought the iPhone 5 shortly after its Chinese release last December, and that the charger in question was the official Apple one. Police in China have confirmed, via the news agency Xinhua, that they are investigating the death of the lady, but so far the only evidence indicating that the phone was at fault was provided by the girls 23-year-old brother in a press interview. Therefore it hasn’t been verified that the iPhone was the cause of death. So, Is it dangerous to use your phone whilst its charging? Under normal circumstances, it is safe to use your phone whilst its charging. “Using a handset while it’s recharging should be completely safe,” according to Prof Will Stewart, from the Institution of Engineering and Technology. Stewart was talking to the BBC when providing that quote, and we see nothing to dispute his claim. It’s important to remember that mobile phones use very low voltages whilst they charge, typically 5 volts or less. This kind voltage is nowhere near enough to be seriously harmful, let alone fatal. The one world of warning comes from damaged chargers. It goes without saying that any chargers with exposed wires or other obvious and serious damage should be disposed of and replaced. The other slightly harder to detect risk comes from chargers which may have damaged wires inside, but the risk of this being the case escalates quickly with fake Apple chargers. Also, it is important to remember to keep away from water whilst using electrical equipment. The water can run down the charging wire and get into the plug. This is a highly dangerous scenario and definitely one to be avoided. So before we overly panick around this news, we should remember that there is likely to be a lot of mitigating circumstances around this case.